It sounds like the gods of thunder bellowing deeply into a megaphone (from the outside); it accelerates and turns without caring about the laws of physics; and it attracts a distinct kind of attention, often involving individuals that have a taste for the finer things in life. 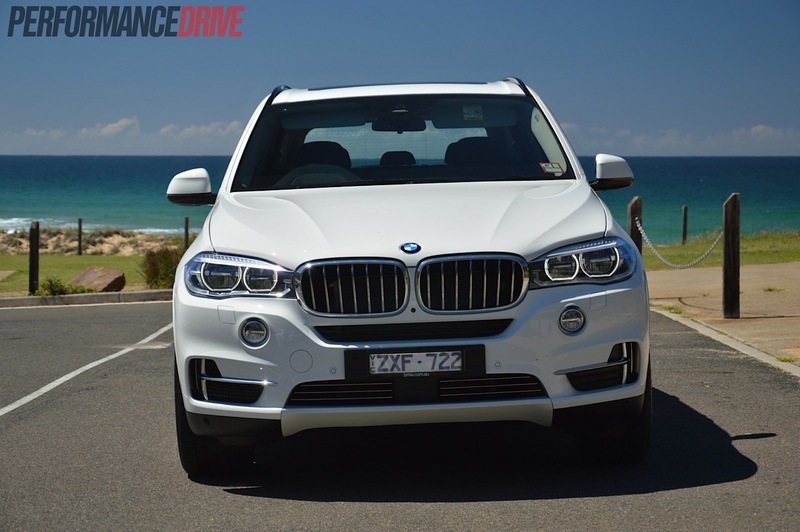 No, this isn’t the new X5 M – although you’d be forgiven for thinking so after a dose of heavy-footed driving – this is the brand new 2014 BMW X5 xDrive50i. 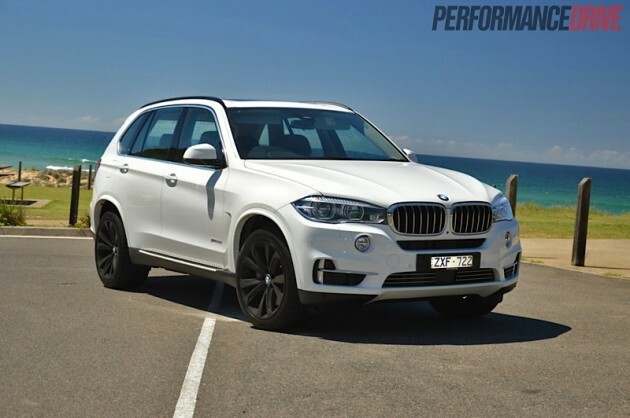 Also known as the most powerful and quickest SUV currently on sale in the local BMW showroom. 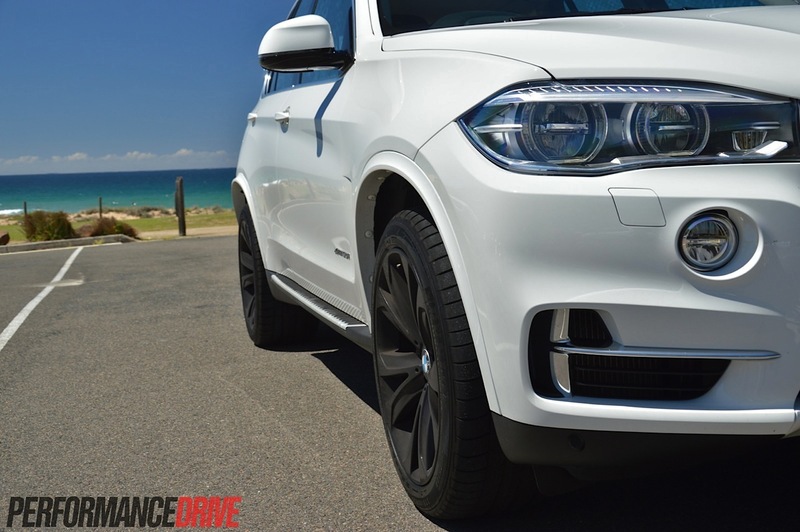 BMW claims the X5 forged a new segment when it was launched back in 1999, calling it a ‘Sports Activity Vehicle (SAV)’. 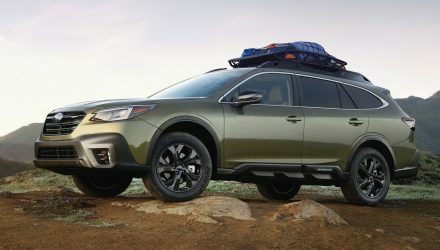 Now moving into its third generation, the 2014 version promises to set new standards once again with increased performance and economy for almost all variants. 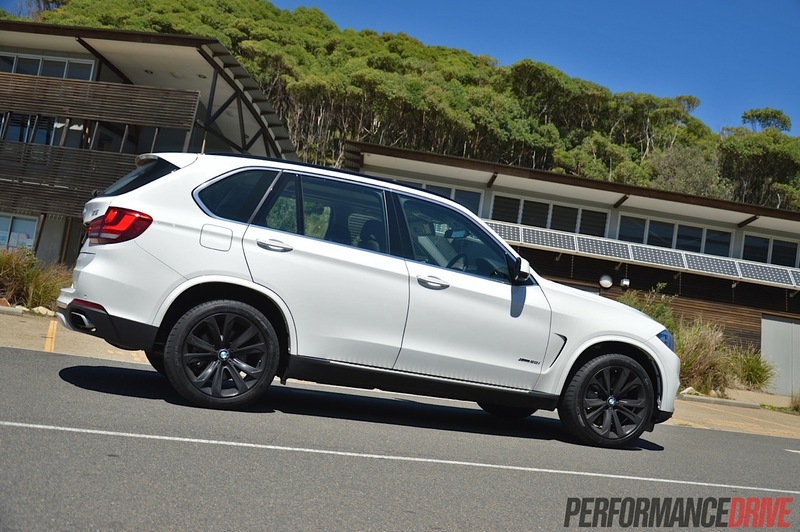 While ‘SAV’ might be a bit of marketing fluff, the X5 is BMW’s most successful SUV. Last year it was easily the most popular among the X series models in Australia, selling to 3302 customers. 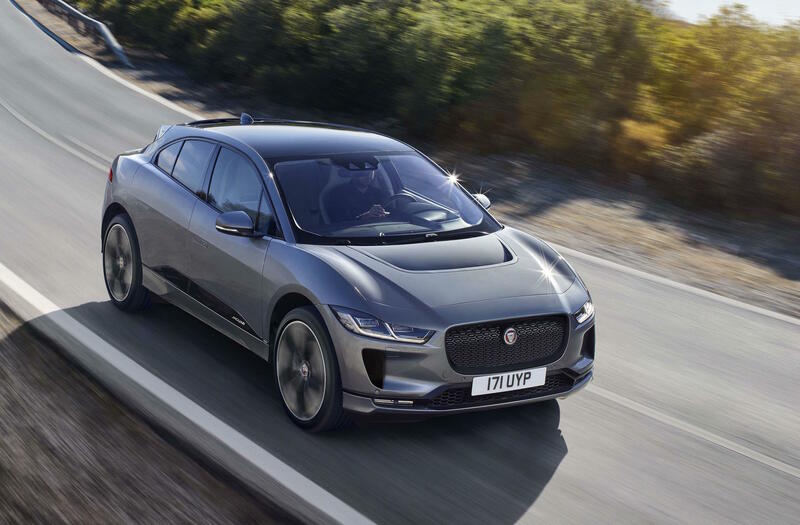 That’s far ahead of the cheaper X3 (2885) and X1 (2108), and significantly more popular than the sporty X6 (326). 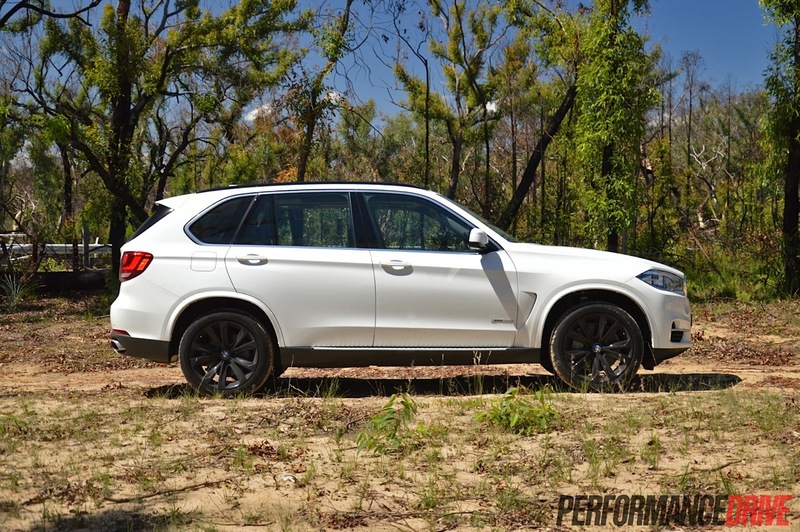 For us, the X5 has always been the best-handling and most rewarding off-roader in terms of driving enjoyment. 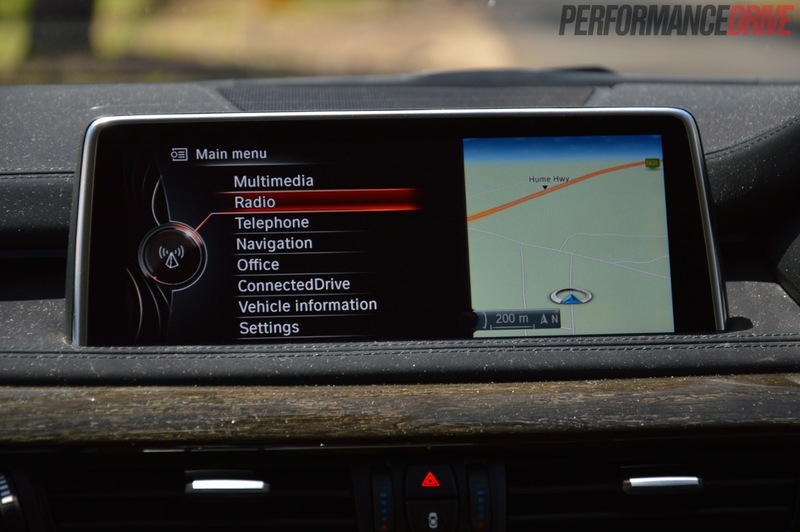 What matters most then, is the new model still a dynamic and rewarding driver’s vehicle? 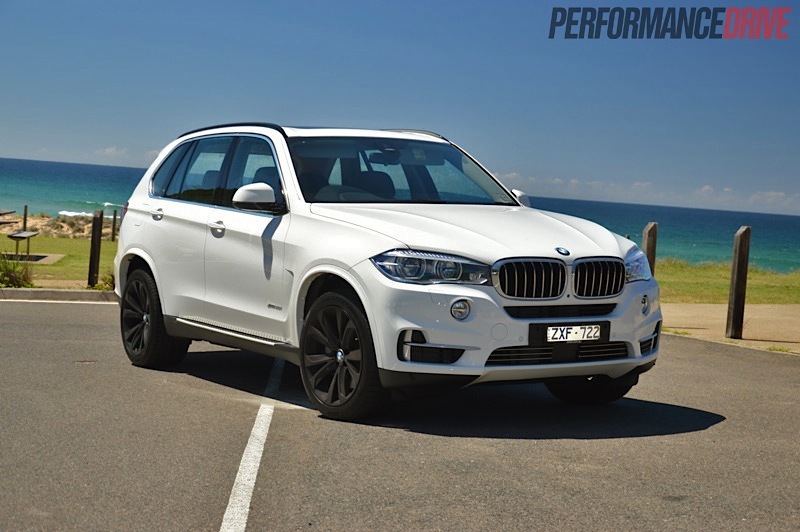 The X5 xDrive50i sits in as the most powerful and quickest petrol model on offer until the new X5 M version comes along. Prices start at $133,900. 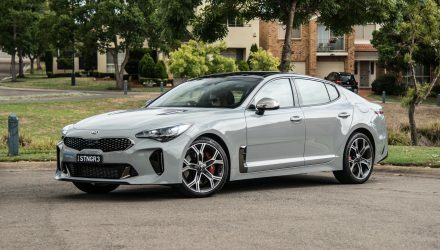 It’s no slouch, by any means, sporting a freshly updated 4.4-litre twin-turbo V8 producing 330kW of power and 650Nm of torque. 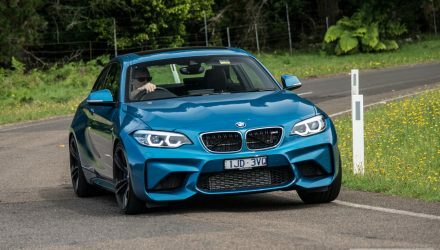 BMW has managed to squeeze an extra 30kW from the previous xDrive50i – which used a similar engine without Valvetronic variable valve timing – while cutting the official 0-100km/h time from 5.5 seconds to just 5.0 seconds. 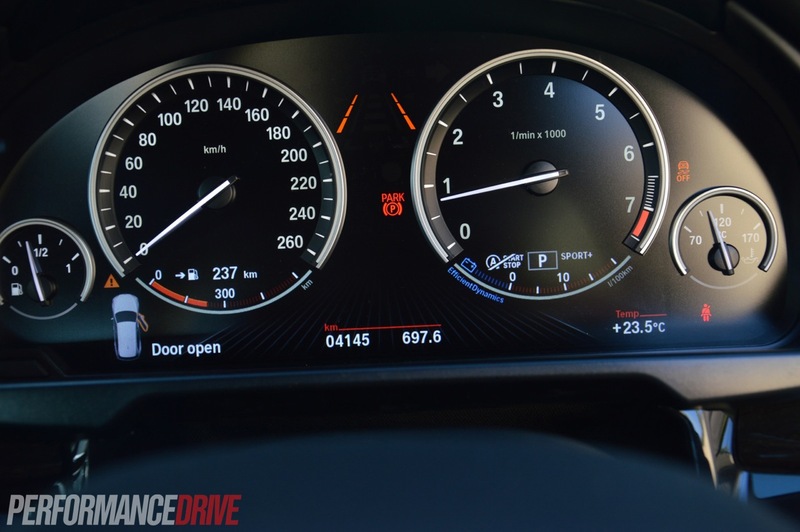 Economy has also dropped, with the official average going from 12.5L/100km to a more bearable 10.5L/100km. 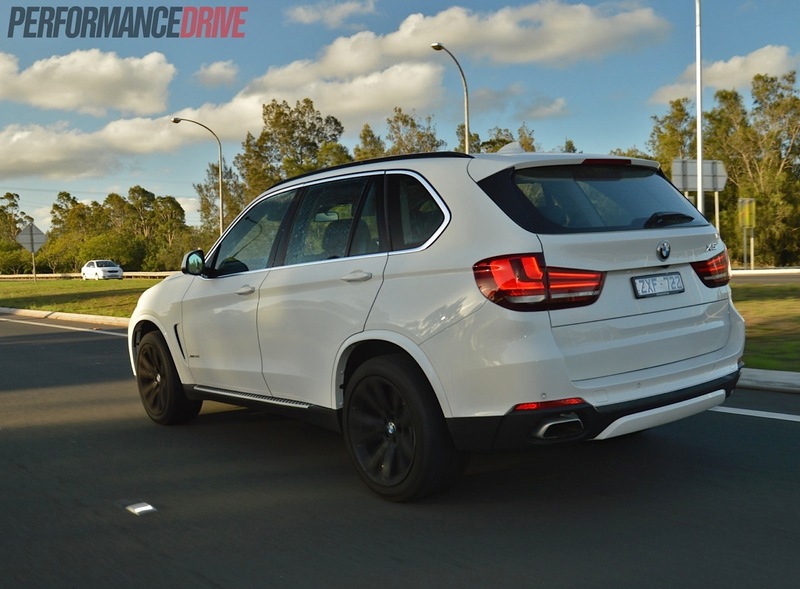 Being the acting flagship, the xDrive50i offers everything you could want in a modern SUV. 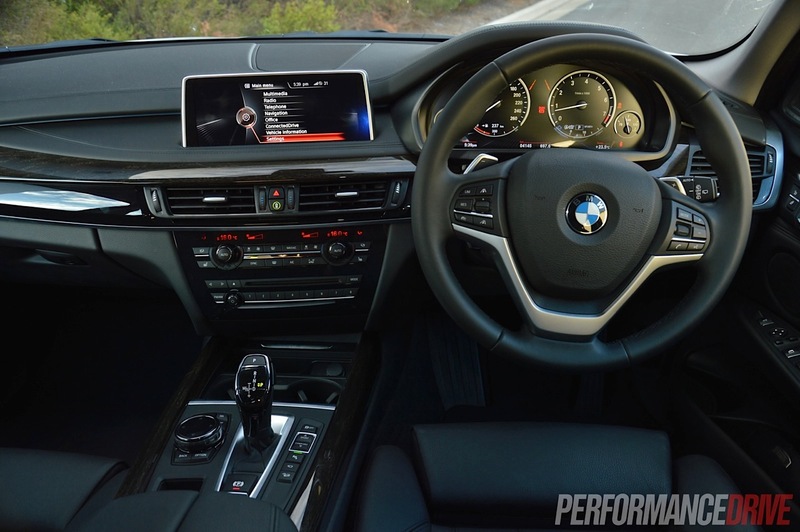 The dash now incorporates a smarter design with business-class tones and prestigious materials, with a widescreen 10.25-inch LCD interface resting at the top of the dash as opposed to being embedded within like the previous model. 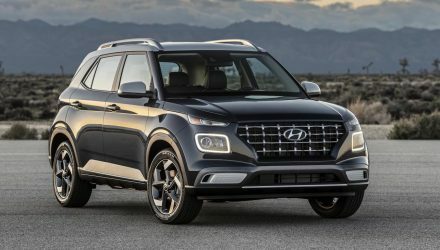 The unit presents crisp graphics and is linked up to the surround-view parking cameras, an awesome 600W harman/kardon 16-speaker stereo, performance mode displays with live power and torque readouts, internet functionality, and even a digital version of the owner’s manual and in-car oil level checking. 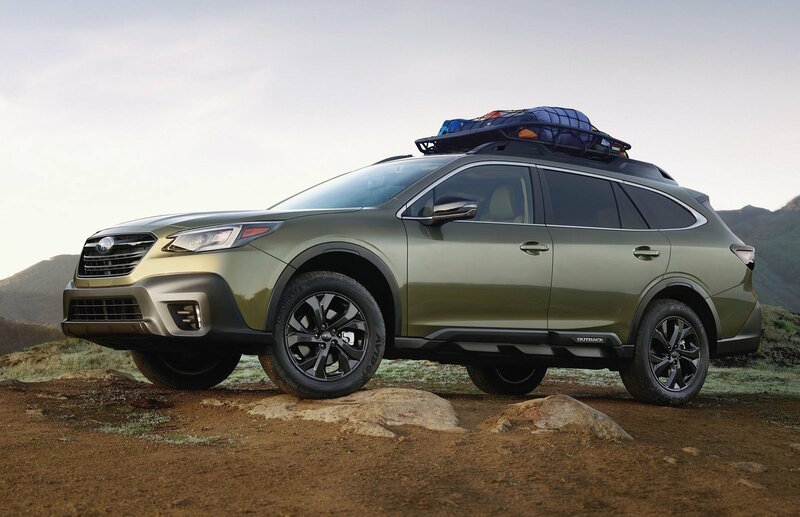 This is a premium vehicle at a premium price, but it’s good to know you are getting a lot for your money. 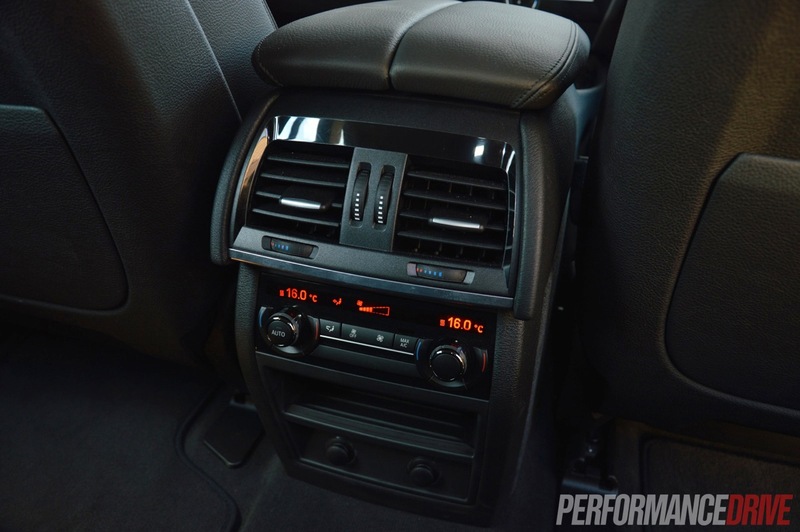 You could sit in the X5 all day just browsing around all of the different functions and luxuries. All of the controls quickly become second nature and with a mostly black layout it’s all easy on the eye. 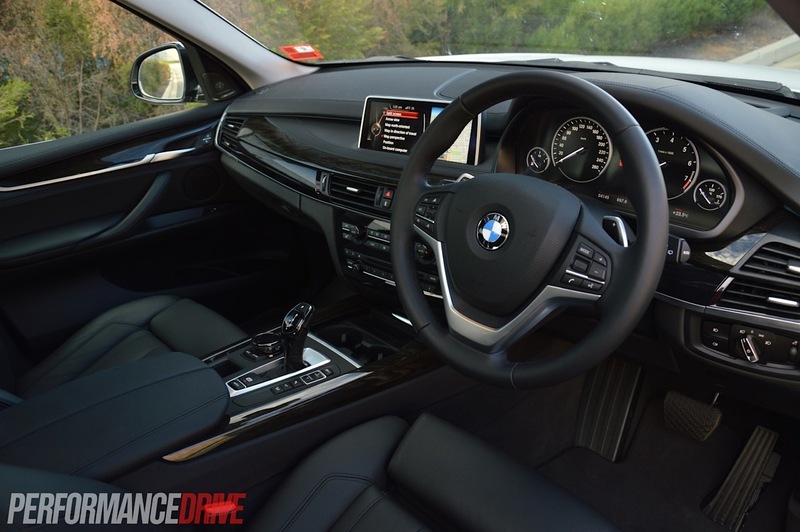 Nestled behind the steering wheel are four circular dials; a tradition BMW has been carrying for decades. 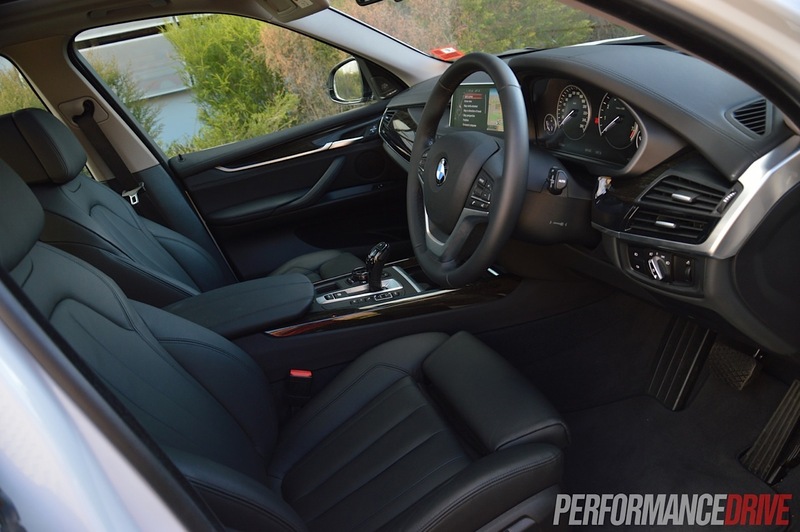 About the only disappointing aspect to the interior and overall cabin experience is the annoying beeps and warning tones that go off from the moment you open the door to after you’ve hit the start button. There’s a chime for the ignition on, door open, seat belt not on, park brake on. They drive you nuts. After a while they lose all meaning too. 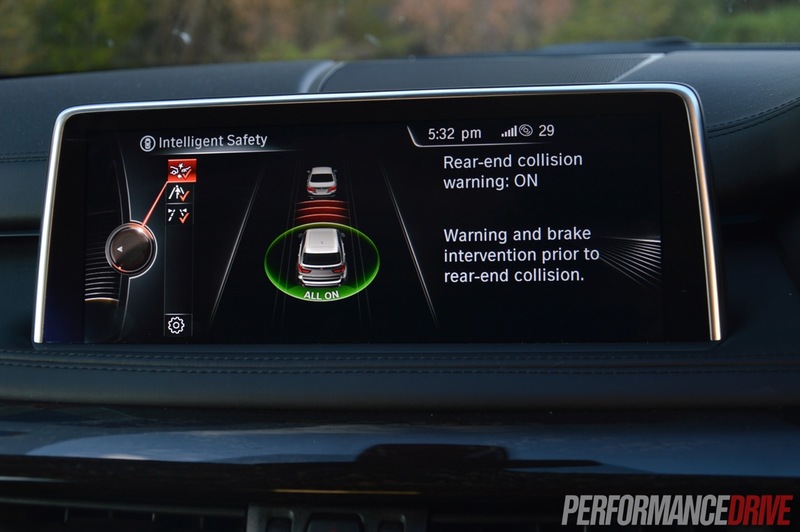 This can be worrisome because if something important does happen and the car tries to warn you, you’ll probably just ignore it. In terms of living space, the cabin is huge. It’s a genuine five-seat vehicle with ample headroom and legroom in the front and back. 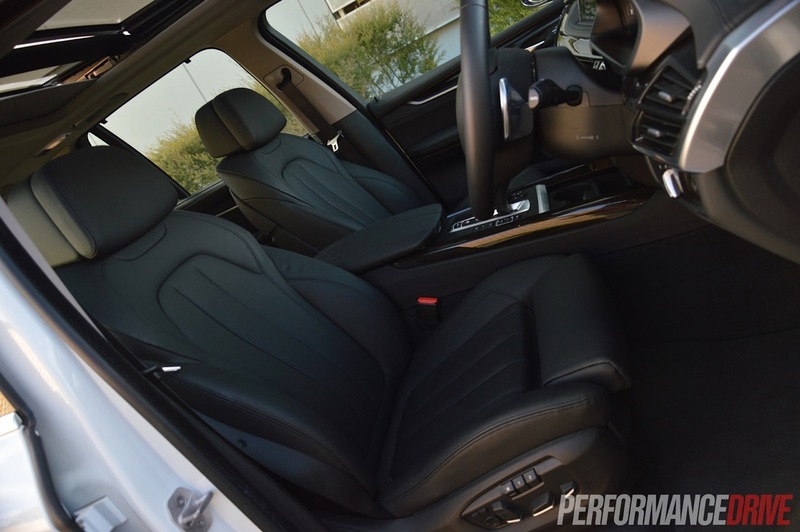 BMW does offer a third row seven-seat option at no cost with the 50i, with prices starting at $3200 in other variants. 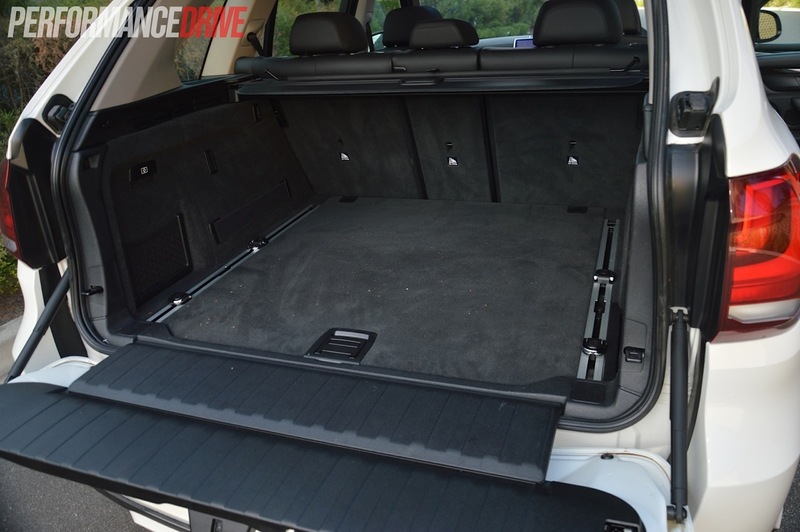 The two-piece tailgate is convenient and practical, and it opens and closes automatically at the touch of a button. Remember how we said you could spend hours in the cabin going through all of the on-board functions? 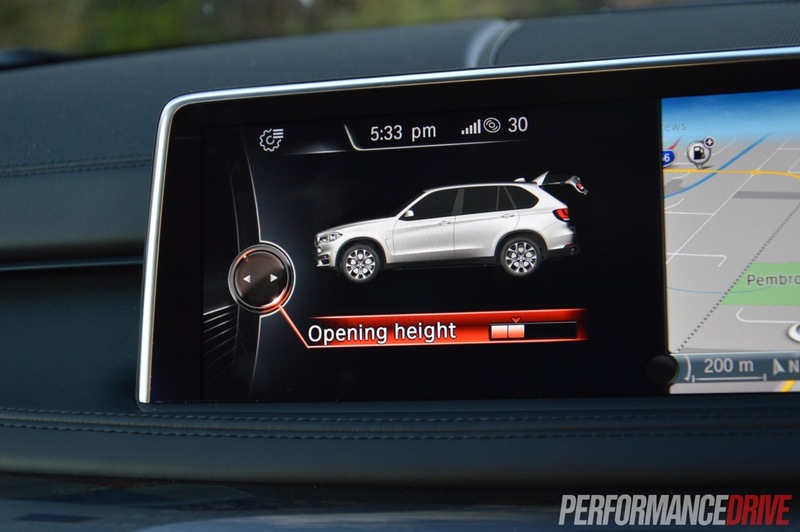 One of the functions is the ability to set how high you’d like the tailgate to open. 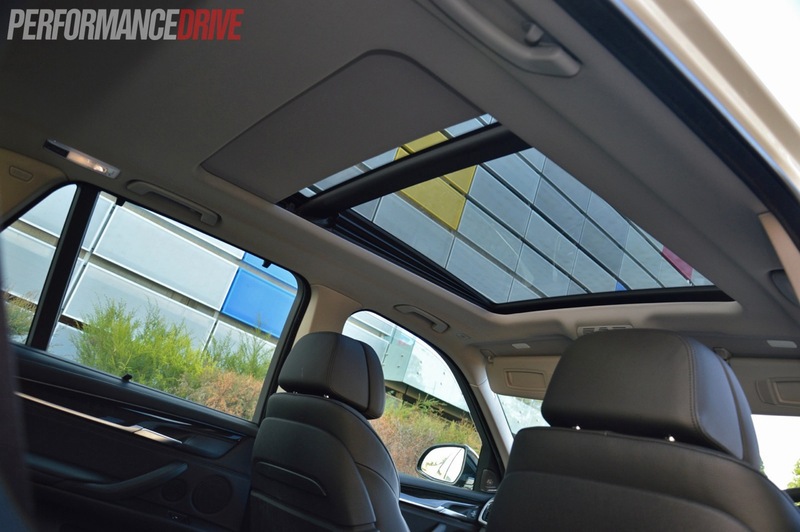 It’s a handy feature especially if you park under a low garage or carport. 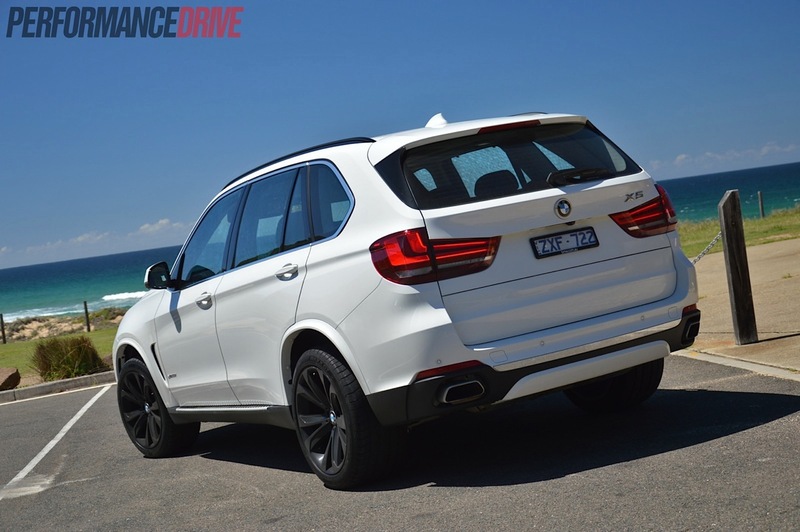 BMW has smartened up the design of the X5 with sleeker body lines, more curves, a perkier nose and refreshing details. It has also included some real aero-enhancing air vents into the front corners. 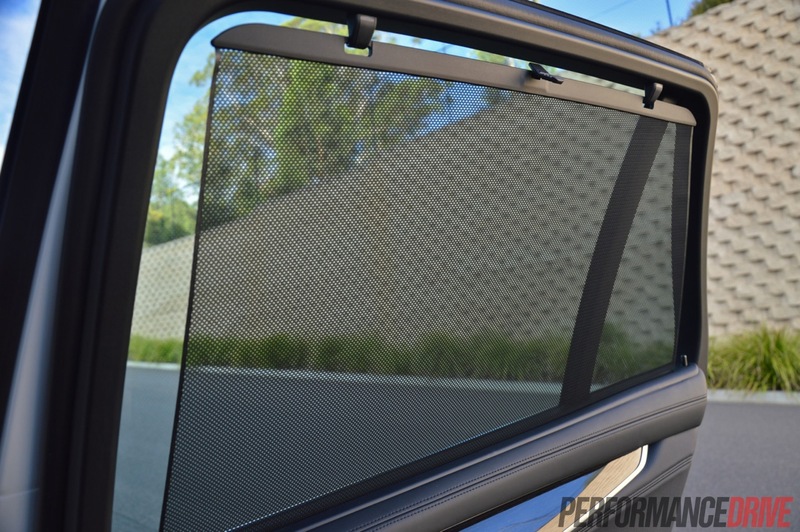 These ‘Air Curtains’, as BMW calls them, use slender intakes just in front of the front wheels and exhaust air turbulence via separate vertical slits behind the front wheels. 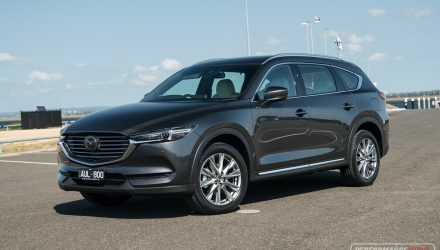 The various vents and air-guiding contours actually manage airflow for efficiency purposes as opposed to the decorative-only arrangements you see on a lot of other new vehicles. 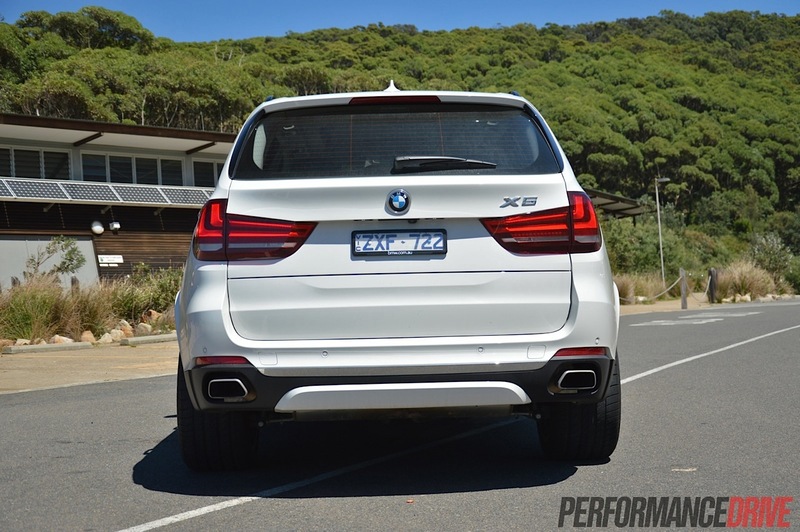 As you would expect with a product of this caliber, all X5 models come with a comprehensive safety package including parking sensors front and rear, a safety body shell with reinforced high-impact sections, a first-aid kit, and dynamic brake lights that flash under heavy braking. All of this stuff is really only of use if you somehow lose control. 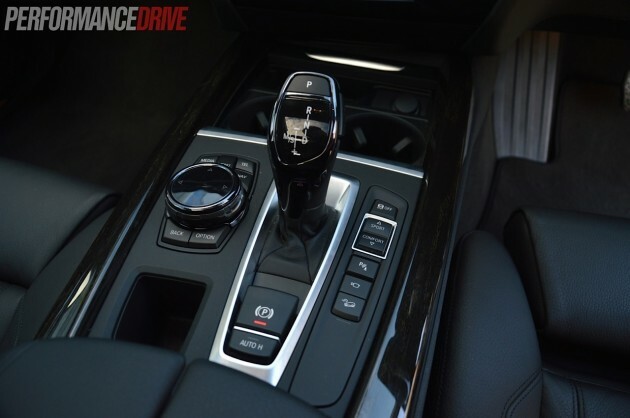 The stability and traction control system and natural balanced handling makes it almost impossible for that to happen. 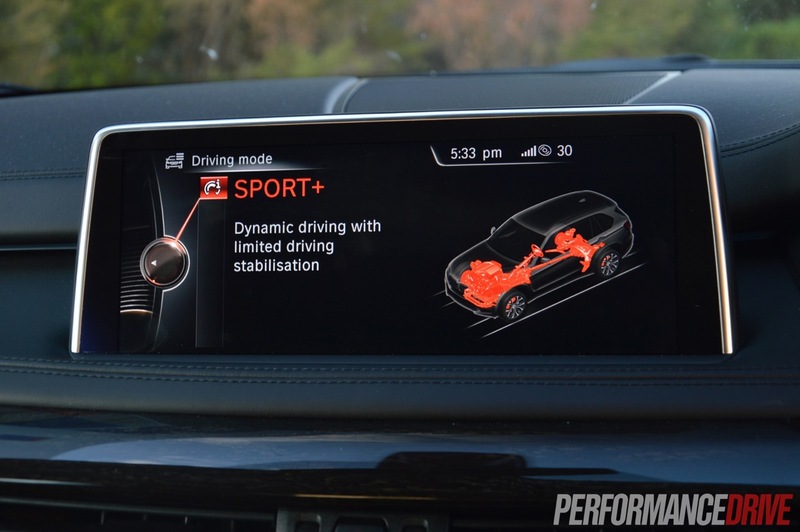 BMW calls it Dynamic Stability Control. It includes corner brake control which diverts braking torque to individual wheels to maintain stability during hard braking while cornering. You can feel it working, pulling and pivoting the big beast around. 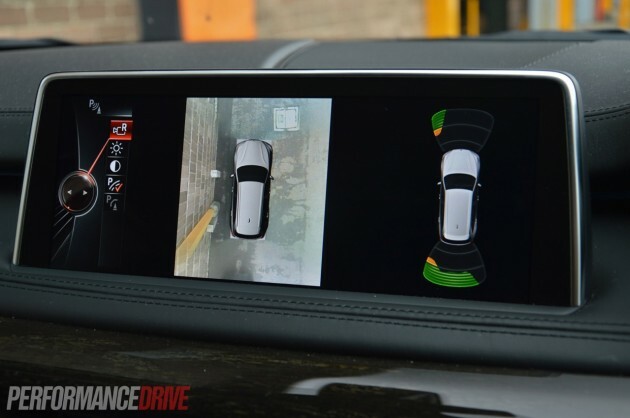 There’s also pre-braking technology, roll-over protection, and brake fade compensation. It’s an extensive package. 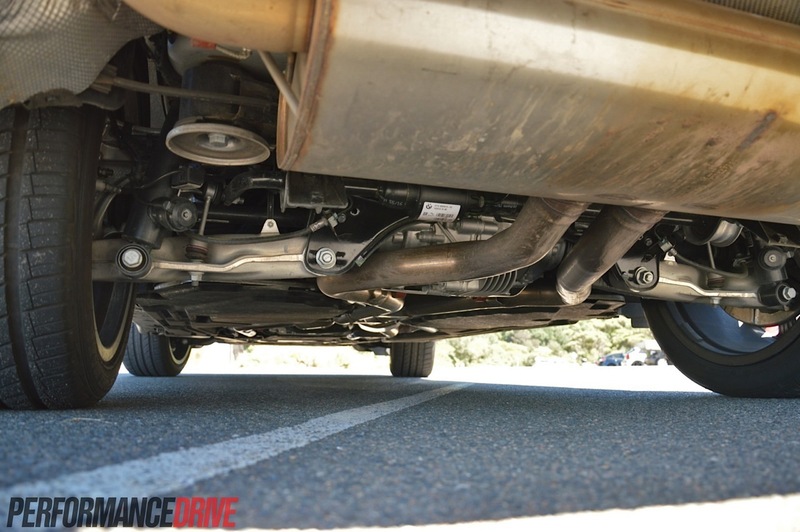 While some performance SUVs are great in the department of acceleration and straight-line speed, it’s often the corners where you are reminded of the sheer mass of a large off-roader. In the X5, the only time the weight becomes part of your thought process is when you’re driving absolutely near the limit. 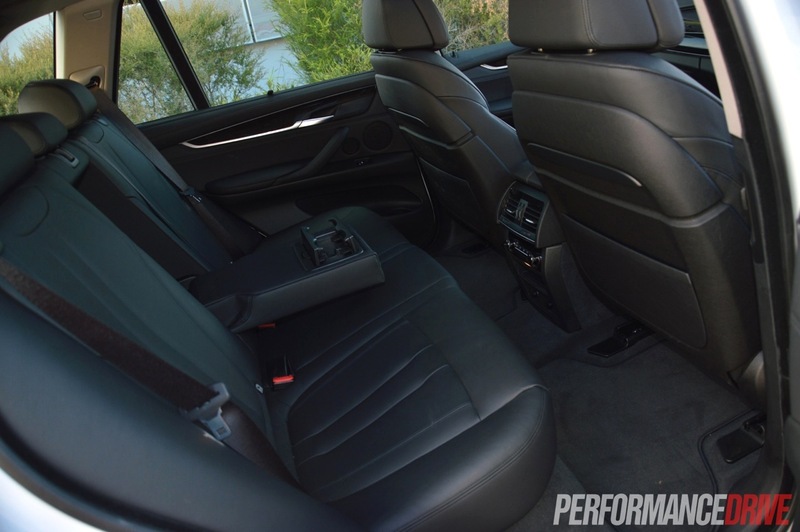 For every other occasion it handles better than most sedans and as good as a proper sports sedan. It is incredible how engineers are able to achieve what is essentially a manipulation of the laws of physics; theoretically, it shouldn’t handle as good as it does. You can come hot into a corner, go deep before braking, tip the steering wheel in and plant the throttle for a high g-force getaway. It rails around corners, tight or long. No matter how hard you try we’re confident in saying it is pretty much impossible to get unstuck. There’s no understeer. Wheelspin? Forget it. During no point does the tremendous 650Nm whack from the V8 turn the big 275mm/315mm tyres past their grip threshold. 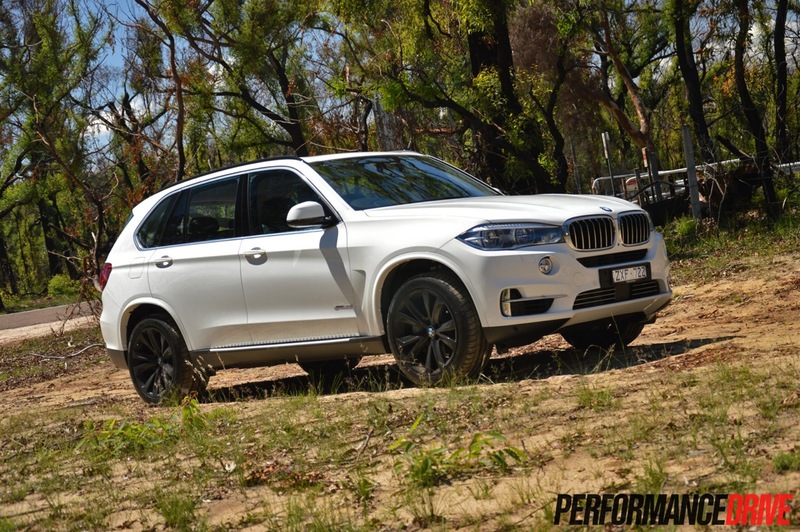 During our test drive through our usual 20km mountain route, which includes sweepers, dips and on- and off-camber corners, the xDrive50i actually gave us a sore neck. We’re not saying it is the quickest vehicle we’ve ever tested. 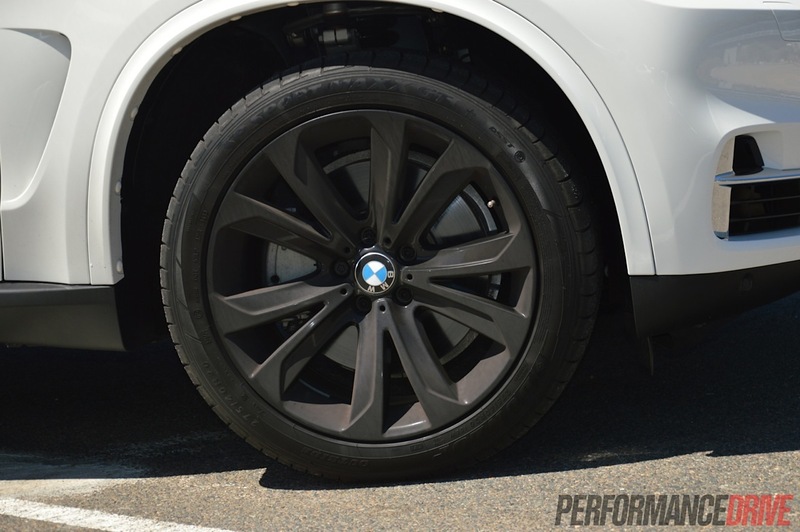 It’s just that large vehicles with a relatively high centre of gravity, with this much traction, do tend to pound your body more so than lighter weight sports cars. And no SUV does it with greater conviction than the new X5. 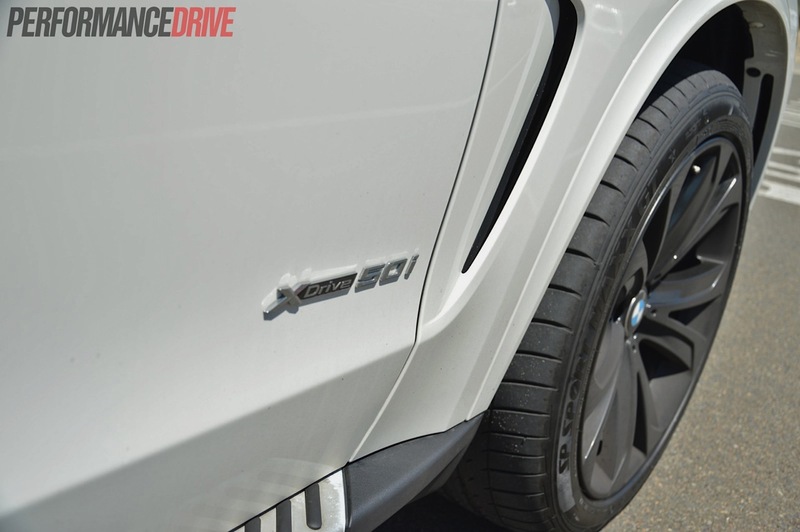 With 100 per cent traction the cornering torque is literally organ-wrenching… if you want it to be. For all other occasions with the driving mode set to ‘comfort’ it behaves just like a regular premium sedan. This engine has to be one of the finest pieces of equipment on the market. It manages to be smooth, quiet and ultra-refined yet it can transform into a fire-breathing menace if you get on the wrong side of the throttle. It’s savagely quick in a straight line. 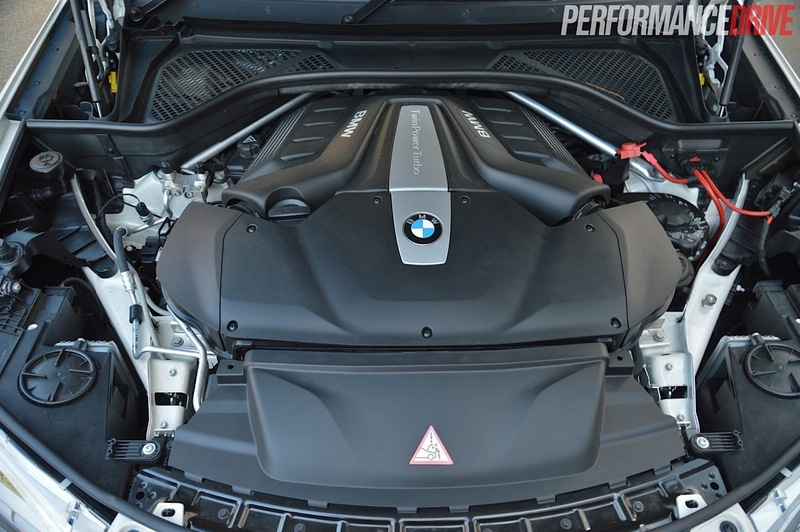 Even after driving the mind-bending M5 and M6, with their 423kW tune of pretty much the same engine, we’ll be forever impressed at how quick this is. You really need to be on high alert if you’re planning to give it some decent stick. 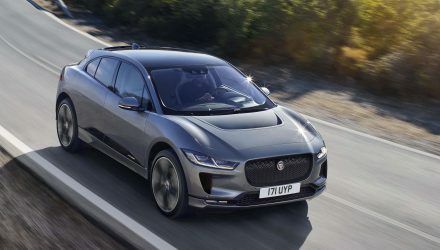 Even when you’re simply feathering the throttle around town you get hints of that 650Nm (feels more like 700Nm); ‘ohh, here it comes’ as it creeps into the peak torque range, available from just 2000rpm. 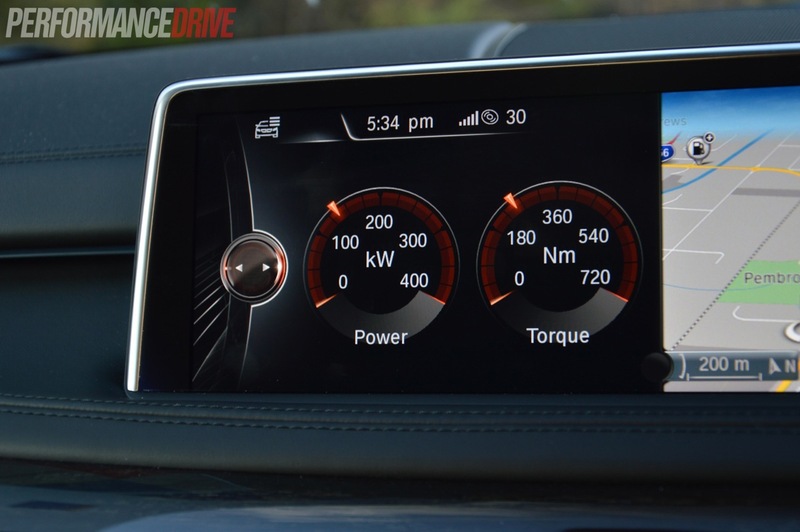 It’s a highly tractable engine that offers breathtaking surge, from any speed. 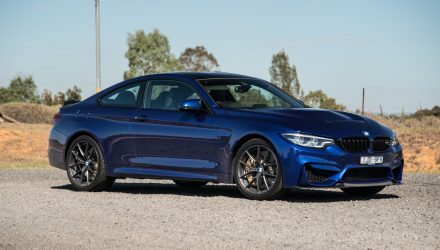 Using the factory launch control system we timed 0-100km/h in a blistering 4.8 seconds, which is even quicker than BMW’s factory time of 5.0 seconds. Again, with such a big vehicle the g-force intensity is very high, like that moment before you tip over the edge on a roller-coaster. We see no reason why you couldn’t get the time down nearer to 4.5 seconds in cool conditions. 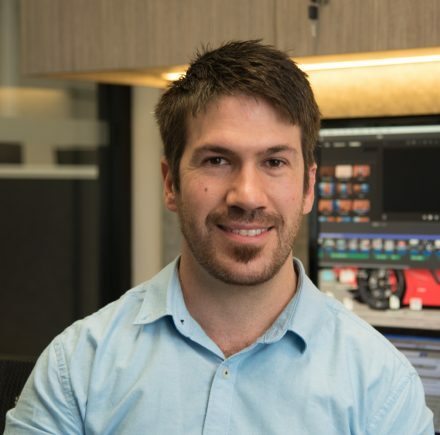 The soundtrack of the V8 rumble is dirty but a little subdued (see video below). A bit more in-cabin volume would be nice, but even so, the quietness seems to amplify the sheer theatrical sensation of speed; you notice the scenery moving faster and faster before you’re overstimulated with engine noise. With all of this acceleration and pulling power the fuel economy is not the best. You’d probably say that’s predictable for a large, high-powered V8 SUV. And you’d be right. Despite the official 10.5L/100km rating we could only manage around 16L/100km. If you can get over enjoying the huge torque reserves and if you drive it in ‘eco pro’ mode you could expect a return of around 12-13L/100km. 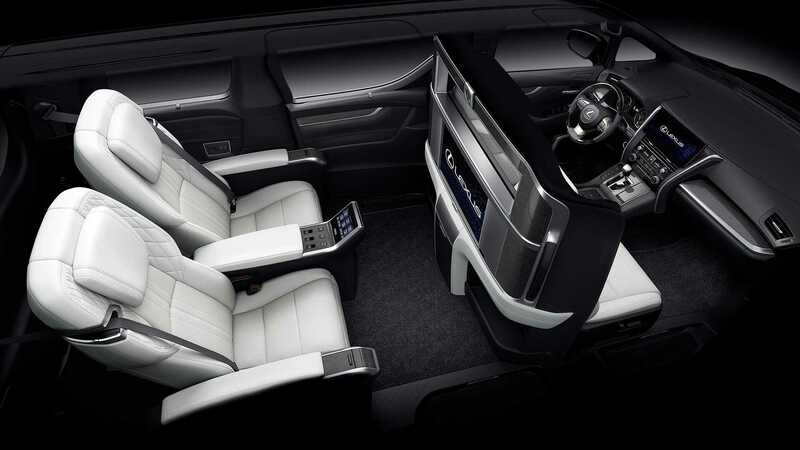 Its power efficiency ratio is actually very impressive, with 31.4kW per official L/100km. 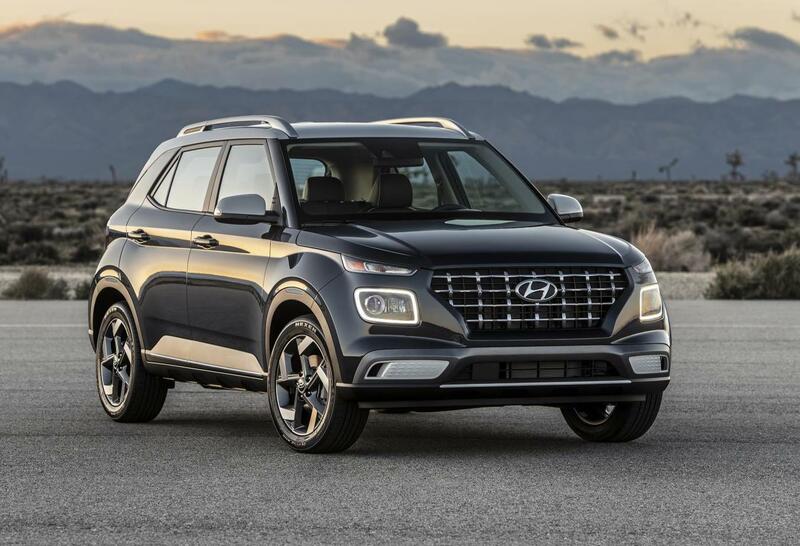 To answer our original question, is it still the best driver’s SUV? It certainly is. You can really enjoy driving this machine on any occasion. Whether you’re posing around the city or blasting through a mountain pass, the X5 remains a clear benchmark in our opinion.